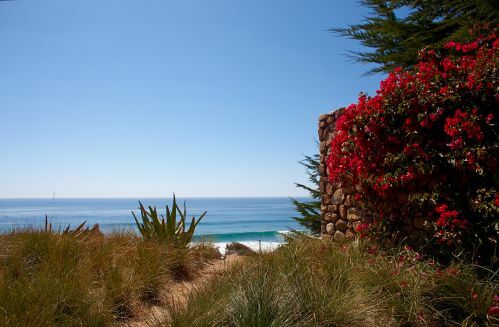 MariSol Malibu is a Malibu real estate development founded on a guiding principal of respect for our natural environment, comfortable living and a private resort style atmosphere. The developers accomplished this in a myriad of ways including restoring this bluff top with California native landscaping, limiting our water usage, using local building and landscape materials, and of utmost importance, building miles of beautiful stone privacy walls that characterize the community. There is over 8,387 linear feet of stone wall in MariSol – a truly remarkable achievement. The man hours involved in its development are countless and the craftsmanship is exceptional. Its creation first requires the design, then digging a 3ft deep trench for the foundation, then the rebar foundation, then the concrete pour, then the brick interior foundation, and ultimately the beautiful stone facade. The walls border the entire development to create that sense of community, acting as a security feature and for pure natural artwork. 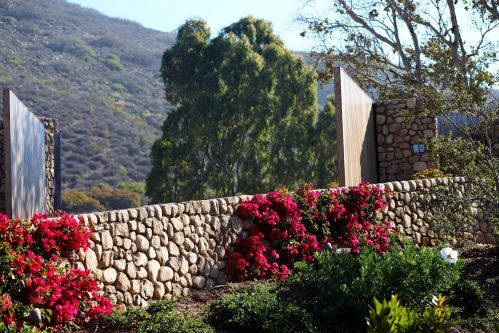 The stone walls were sourced from two locations, from our on-site quarry and locally from Santa Barbara. Known as Santa Barbara stone, it is an earthy strong and durable stone that can stand the test of time in this salty coastal environment. 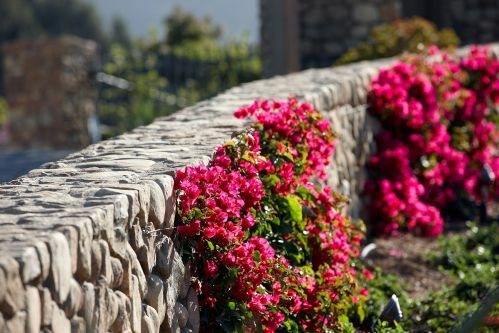 The walls seperate each of the lots at a height of 6-8ft for ultimate privacy and then they are accentuated by beautiful California landscaping.